Metroplex Party Announced In Detroit!!! In the Early 80's a group called Cybotron made some Experimental Music that had a very unique sound. In 1985, one of the members, Juan Atkins went on to start his own Record Label - the LEGENDARY METROPLEX RECORDS - the label that started TECHNO! 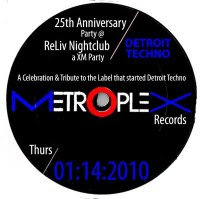 Join us on Thursday, January 14, 2010 @ Detroit's hottest new Nightclub - ReLiv as we celebrate 25 years of Detroit Techno and pay homage to Metroplex Records, the Artists, and the Sound of Detroit Techno - Present, Past, and Future. Hope everyone is makin it through the holiday season. Haven't put anything up in a bit, so here's Tenax by Diana Est. I actually wasn't sure if I liked it that much when I first got it, but it grew on me. The vocals are freaky. There's a girl singing in Italian who doesn't sound Italian at all. Pretty funny stuff. Hope everyone makes it to 2010. Have fun. 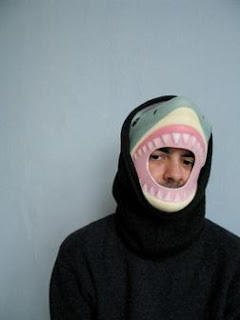 A very special live set from none other than Downlow label boss $tinkworx (along with Minto). This was from Public Assembly on a cold December Brooklyn night. $tinkworx killed it as usual, but feel free to see for yourself… Look for his releases on Bunker, Delsin, Strangelife and others. This was a lot of fun and a big thank you to JT for letting me put this up for you guys. 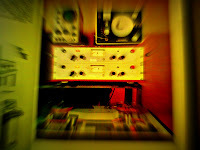 The recording is in mono but who cares. Enjoy!!! One of my all time favorite tracks on Trax. Everyone knows how important Trax was in making Chicago House a staple both here and abroad. Along with other great labels like Mitchbal, Dj International Jessay and countless other labels they changed what people thought about dance music. Dj Speculator used to always pump this jam back a few years ago and it took me awhile to find a clean copy. I hope you like this as much as I do. 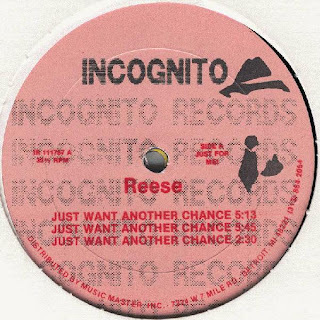 Classic Detroit track (Just Want Another Chance). Not sure what year this one came out, but I still love this song. The underlying bass is so hypnotic and has that sad feel to it. Enjoy!